Maybe it's the color -a true pink, without any of the red violet characteristic of so many 'pink' orchids -that makes Lycomormium fiskei so striking. And the size. Lycomormiums are hefty plants. 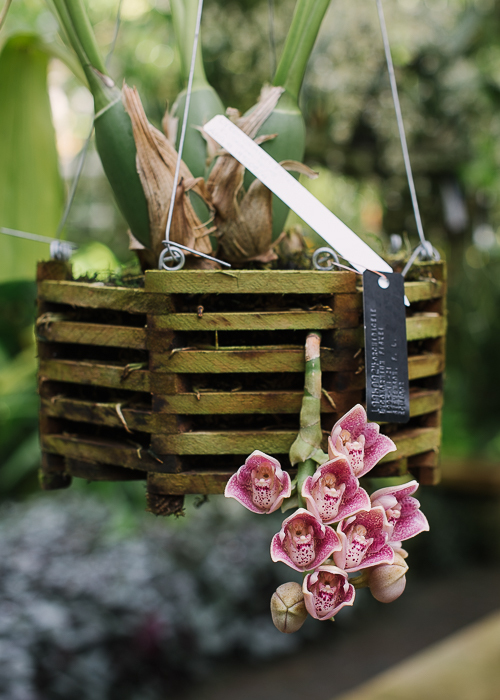 Our plants, which are relatively small divisions of three or four pseudobulbs, measure three feet in height and must weigh 10 lbs each, basket included. The pendant inflorescence makes an open sided basket pretty much required for producing flowers on a Lycomormium. 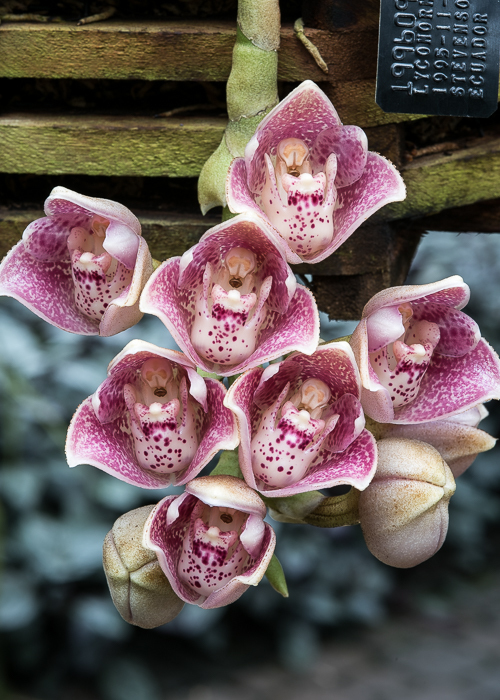 Our lycomormiums have big waxy flowers and a strong sweet fragrance like many orchids pollinated by male Euglossine bees. They resemble the closely related Peristeria -another genus with plicate leaves and smooth pseudobulbs -except for Lycomormium's immobile lip. Lycomormium, Peristeria and Coeliopsis were for many years placed in the subtribe Stanhopeinae, but differ morphologically in having smooth ovoid pseudobulbs with 3-4 leaves, globose flowers, root hairs, a round viscidium adapted for attachment closer to the bee's head, a column foot, and the absence of a floral abscission layer allowing the flowers to fall off after they wither. Based on these morphological differences and on molecular analysis supporting the idea of two sister taxa, Whitten, Williams and Chase (2000) favor recognizing separate subtribes, Coeliopsidinae and Stanhopeinae.